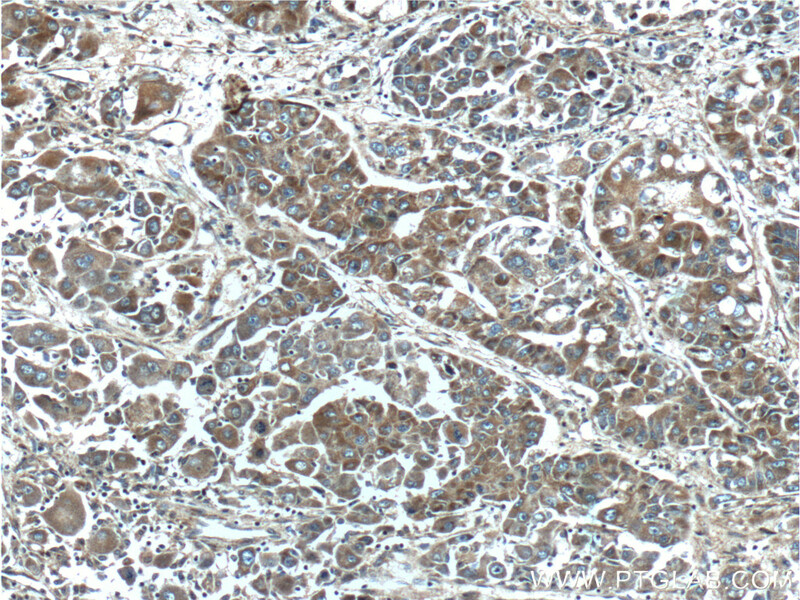 Immunohistochemistry of paraffin-embedded human liver cancer tissue slide using 16874-1-AP( FGF3-Specific Antibody) at dilution of 1:200 (under 10x lens). 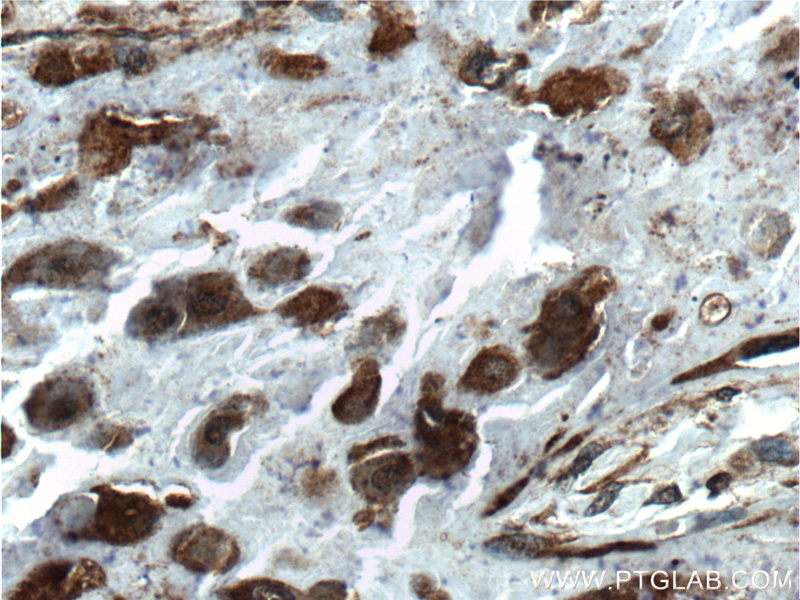 Immunohistochemistry of paraffin-embedded human liver cancer tissue slide using 16874-1-AP( FGF3-Specific Antibody) at dilution of 1:200 (under 40x lens). FGF3 is a member of the Fibroblast growth factor family, binding to Fibroblast Growth Factor Receptor 3 (FGFR3). Frequent amplification of this gene has been found in human tumors, which may be important for neoplastic transformation and tumor progression. FGF-3 was reported to be responsible for most of breast malignancies. 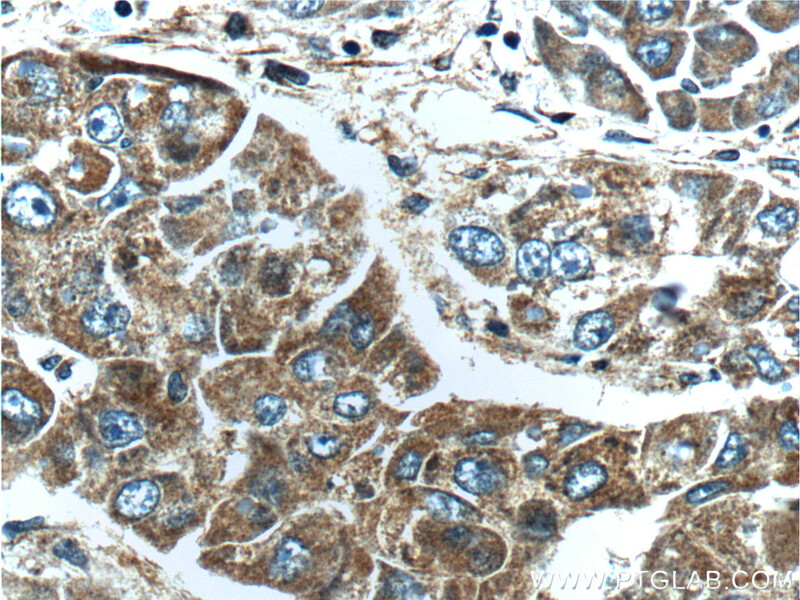 This antibody is specific to FGF-3. It does not bind other FGFs. Immunohistochemistry of paraffin-embedded human placenta tissue slide using 16874-1-AP( FGF3-Specific Antibody) at dilution of 1:200 (under 10x lens). 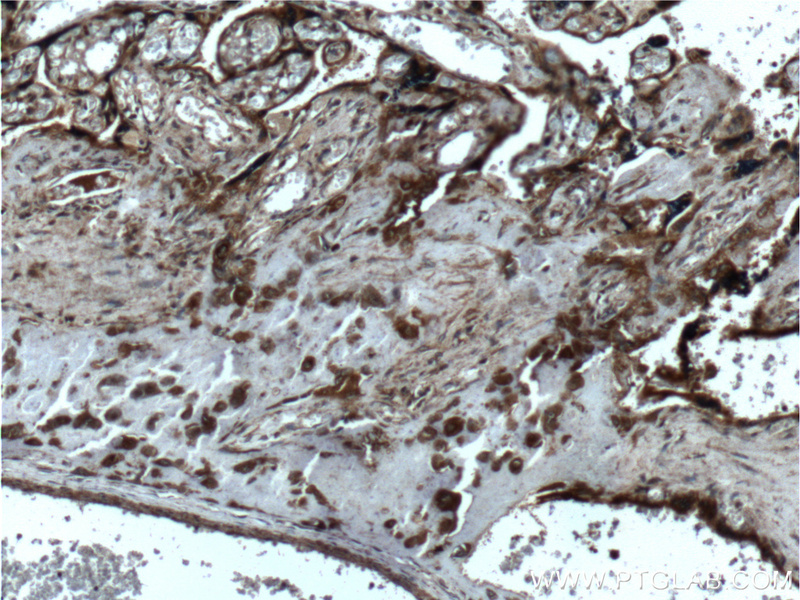 Immunohistochemistry of paraffin-embedded human placenta tissue slide using 16874-1-AP( FGF3-Specific Antibody) at dilution of 1:200 (under 40x lens).